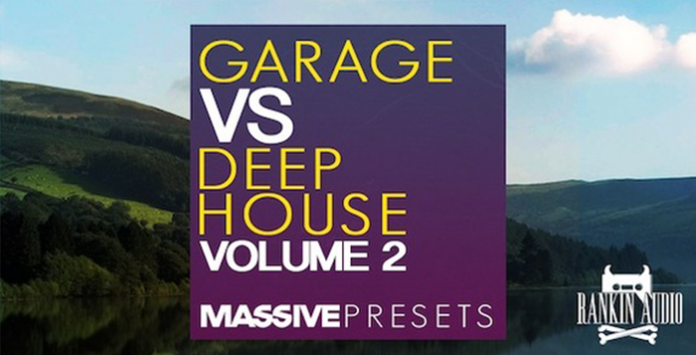 Following up the 10/10 reviewed Garage Vs Deep House Vol 1, Rankin Audio is back with a second slice of the bassy, garagey, housey pie. There is no question that the sound of Garage and Deep House is hot not only in the UK right now but spreading to the far reaches of the globe. With labels like Black Butter leading the way and artists like Gorgon City and Clean Bandit topping the charts there seems to be no stopping it. Harnessing the magic of Native Instruments, Massive synth each sound has a full 8 Macros to help you shape and blend your sound. All are tagged in the browser with their individual atributes to make finding the sound you need a breeze. There are the essential garage bass and organ sounds, the iconic house, analogue style bass tones and everything you need to make a serious dancefloor roller.